You are at:Home»Learning from the Best»What types of personality traits do some of the most successful CEOs share? What types of personality traits do some of the most successful CEOs share? 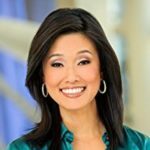 Betty Liu uses her experience with interviewing CEOs and other business leaders to identify the personality traits and qualities that can lead to success. This includes being tenacious, creative and being able to execute on key strategies to grow a business. Previous VideoWhat are your tips you’ve learned from the best negotiators that produces the best outcomes?